Prešov ([ˈpreʃow]) is a city in Eastern Slovakia. It is a seat of the administrative Prešov Region (Slovak: Prešovský kraj) and Šariš. With a population of approximately 91,352, it is the third-largest city in the country. 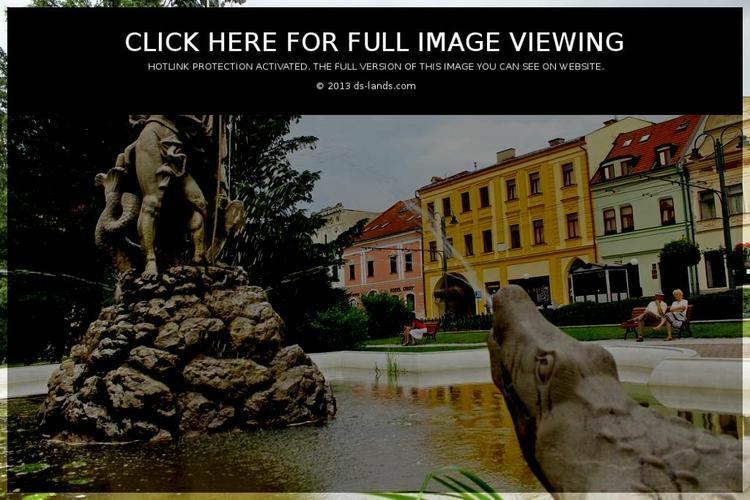 There are many tourist attractions in Prešov such as castles, pools and the old town. The first written mention is from 1247 (Theutonici de Epuryes). Several authors tried to derive the name from Hungarian: eper - a strawberry. The theory was questioned in 1940s and newer Slovak works suggests a derivation from Slavic personal name Preš/Prešä and its later phonetic adaptation (introduction of e before the initial consonant group and removal of the suffix, the original form then ceased to exist). Strawberries depicted on the coat of arms of Prešov are not necessarily determinative, the Latin name Fragopolis (strawberry city) is only a modern translation. Other alternative names of the city include German: Eperies (between 1938 and 1945 also Preschau), Hungarian Eperjes , Latin Fragopolis, Polish Preszów, Romany Peryeshis, Russian Пряшев (Pryashev) and Rusyn and Ukrainian Пряшів (Priashiv). People from Prešov are traditionally known as "koňare" which means "horse keepers". The old town is a showcase of Baroque, Rococo and Gothic architecture. The historical center is lined with buildings built in these styles. In the suburbs, however, the Soviet influence is clearly evident through the massive concrete panel buildings (paneláky) of the housing estates (sídliska) and the Sekčov district. More Soviet-style architecture is seen in the government buildings near the city center. Significant industries in the city include mechanical and electrical engineering companies and the clothing industry. Solivary, the only salt mining and processing company in Slovakia, also operates in the city. The city is a seat of a Greek Catholic metropolitan see and of the primate of the autocephalous Orthodox Church of the Czech Lands and Slovakia. Many concerts, operas, operettas and stage plays are performed at the new building of the Jonáš Záborský Theatre (Divadlo Jonáša Záborského), as well as at the older theatre premises. The city and the region were contenders for European Capital of Culture 2013. The nearby city of Košice was chosen. Habitation in the area around Prešov dates as far back as the Paleolithic period. The oldest discovered tools and mammoth bones are 28,000 years old. Continuous settlement dates back to the 8th century. Antun Vrančić, a Croatian prelate, writer, diplomat and Archbishop of Esztergom, died in Prešov in 1573. In 1870 the first railway was built. This was a line connecting the town to Košice. At the end of the 19th century, the town introduced electricity, telephone, telegraph and a sewage systems. In 1887 fire destroyed a large part of the town. On 16 June 1919, the very brief Slovak Soviet Republic was declared here. 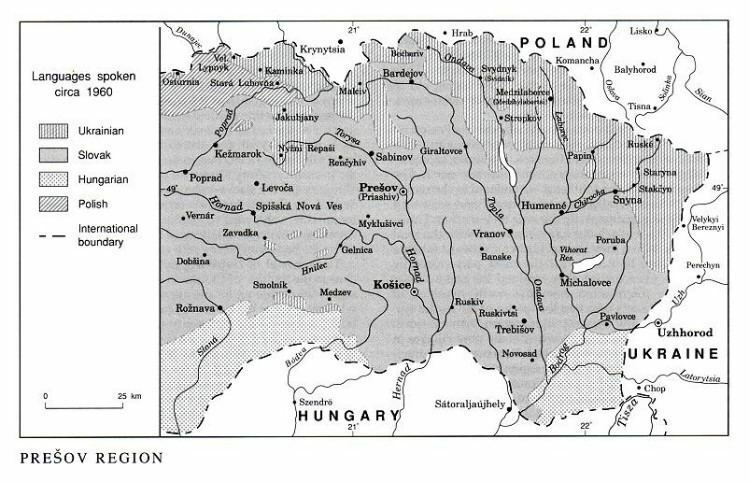 In 1920, after the Treaty of Trianon, Eperjes became part of the newly created Czechoslovakia as Prešov. During World War II, the nearby town of Košice again became part of Hungary as a result of the First Vienna Award. As a result, many institutions moved from Košice to Prešov, thus increasing the town's importance. In 1944, a professional Slovak Theatre was established in Prešov. On 19 January 1945 Prešov was taken by Soviet troops of the 1st Guards Army. After 1948, during the Communist era in Czechoslovakia, Prešov became an industrial center. Due to the World War II Prešov lost majority of its Jewish population, however population of the city increased rapidly from 28,000 in 1950 to 52,000 in 1970 and 89,000 in 1990. Prešov lies at an altitude of 250 metres (820 ft) above sea level and covers an area of 70.4 square kilometres (27.2 sq mi). 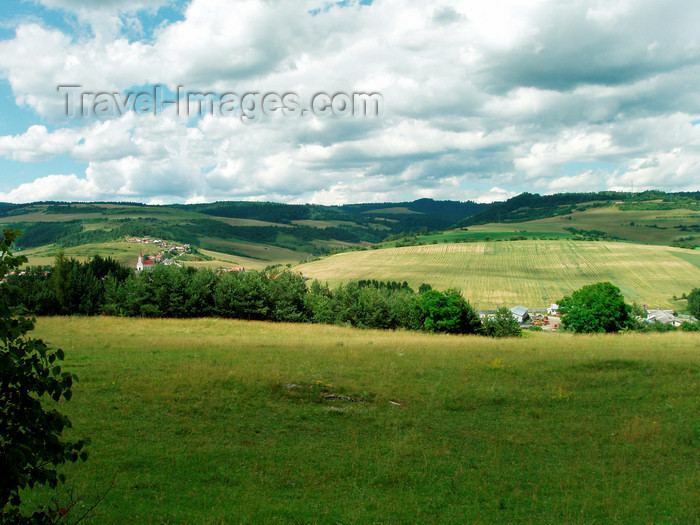 It is located in the north-eastern Slovakia, at the northern reaches of the Košice Basin, at the confluence of the Torysa River with its tributary Sekčov. Mountain ranges nearby include Slanské vrchy (south-east), Šarišská vrchovina (south-west), Bachureň (west) and Čergov (north). 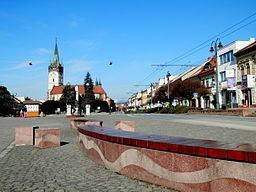 The neighbouring city of Košice is 34 kilometres (21 mi) to the south. Prešov is about 50 kilometres (31 mi) south of the Polish border, 60 kilometres (37 mi) north of the Hungarian border and is some 410 kilometres (255 mi) northeast of Bratislava (by road). Prešov lies in the north temperate zone and has a continental climate with four distinct seasons. It is characterized by a significant variation between hot summers and cold, snowy winters. In the past, Prešov was a typical multiethnic town where Slovak language, Hungarian, German and Yiddish were spoken. Before World War II Prešov was a home for a large Jewish population of 4,300 and housed a major Jewish museum. During 1939 and 1940 the Jewish community absorbed a flow of Jewish refugees from Nazi-occupied Poland, and in 1941 additional deportees from Bratislava. In 1942 a series of deportations of Prešov's Jews to the Nazi death camps in Poland began. Plaques in the town hall and a memorial in the surviving synagogue record that 6,400 Jews were deported from the town under the Tiso government of the First Slovak Republic. Only 716 Jewish survivors were found in the city and its surrounding when it was liberated by the Soviet Red Army in January 1945. According to the 2011 census, Prešov had 91 782 inhabitants, 81.14% declared Slovak nationality, 1.70% Romani, 1.59% Rusyn, 0,7% Ukrainian, 0.48% Czech, 0.14% Hungarian, 13.8% did not declare any nationality. The religious make-up was 55.8% Roman Catholics, 12.44% people with no religious affiliation, 8.15% Greek Catholics, 4.05% Lutherans, 1.55% Orthodox, 17.16% did not declare any religious affiliation. Institutions of tertiary education in the city are the University of Prešov with 12,549 students, including 867 doctoral students, and the private International Business College ISM Slovakia in Prešov, with 455 students. In addition, the Faculty of Manufacturing Technologies of the Technical University of Košice is based in the city. There are 15 public primary schools, six private primary schools and two religious primary schools. Overall, they enroll 9,079 pupils. The city's system of secondary education consists of 10 gymnasia with 3,675 students, 4 specialized high schools with 5,251 students and 11 vocational schools with 5,028 students. Prešov is home to one professional football team - 1. FC Tatran Prešov which is the oldest football team in Slovakia. The city's ice hockey club is HC Prešov Penguins. Home arena of Prešov is ICE Arena, which is situated close to handball arena and has capacity of 5500 fans. The city's handball club is HT Tatran Prešov which is Slovakia's most popular and currently most successful club. Handball team of Prešov is taking part not only in Slovak league (where is dominating), but also in international SEHA league with best handball teams from region. Many handball players from this team are also members of Slovak national handball team.